I'm always working on some sort of project - and with the birth of our puppies, I've been thinking a lot about how we'll feed them. I looked into all sorts of things, and quickly became interested in rabbit breeding. But rabbits are the cutest creatures on the planet! Could we really breed rabbits for meat? Rabbit meat is incredibly nutritious, and the reproduction rate high - which got me thinking.. What if we could successfully breed rabbits, then teach the GSI Schools in our area to do the same? Not only would we have a great meat source - but so would the schools. And as an added bonus, the students in our community would get to learn some general biology, genetics. They'd also learn record keeping etc. etc... this is all starting to make good sense. 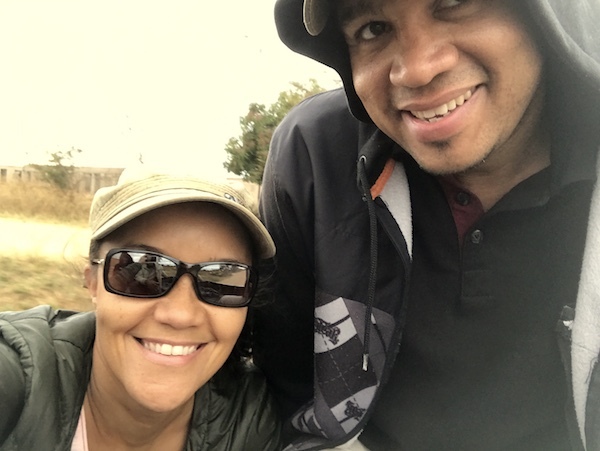 So during our visit to the city, my brother Karl and I jumped on the back of an old pick up truck in Seke (near Harare) and went on a search for rabbits. Life is always such an adventure!